We’ve compiled the most frequently asked questions that our customers ask when hiring a limo in Melbourne. For more information please feel free to contact our office on 1300 532 532 or visit our showroom to inspect our vehicles. How much does it cost to hire your limousines?  As we boast Australia’s most unique fleet of limousines, prices fluctuate according to the type of limousine you are interested in, locations of the booking, and lengths of time you require our service. For a detailed limo hire quote please click here. How do I get a quote for your limousine service? You can request a quote for limo hire by submitting our online request a quote form or by phoning us. We provide the option for customers to request quotes for multiple vehicles, provide details of any special requests, specify any return journey details or additional journey pickups and drop-offs. Are your limousines the cheapest in Victoria? We certainly hope not! Never choose a limousine based on price. All too often, the cheaper the quoted price, the larger the risk for you as a paying client with high expectations of an amazing limousine experience. Don’t shop around for your perfect limousine on price alone. Old, dirty, poorly maintained vehicles; poor service; unprofessional chauffeurs with poor hygiene; dangerous vehicles; late service (or worse – complete no-shows!) are all very realistic possibilities in this industry. Always go with a proven and reputable operator, just like Exotic Limo, with 25 years industry experience. As all our limousines are completely one-of-a-kind, we recommend booking your limousine as soon as possible. We have bookings as far as 12-18 months in advance. To avoid disappointment, book now. Yes we do. It is standard practice for Exotic Limo to accept a minimum booking fee of 50% of the total quote for your booking. This locks in your limousine and protects it from being booked by another group. All bookings need to be paid for in full within seven (7) days prior to the booking taking place. We accept payment by credit card, cash or bank transfer. When booking, we will request your credit card details (Visa, Mastercard, American Express, Diners). Your card details will be held as security on your reservation. Charges will be made upon completion of your request. When paying by cash, credit card security is still required, but no charge will be made to your card on successful transfer of money. May we come and visit your showroom in order to view your limousines, luxury sedans and classic cars? Call us now and one of our friendly staff will be glad to arrange a mutually convenient time for you to visit our showroom in Moorabbin. After hours? Not a problem! On the weekend? No worries! We love meeting with our clients face-to-face and always welcome the opportunity to showcase our fleet to you in person. 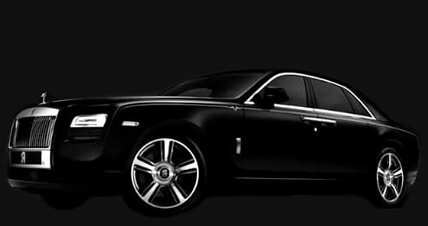 How do you select your chauffeurs? Chauffeurs are all VTD approved with the appropriate authorities. We strictly enforce the age 18 years and over alcohol law. Regardless of age for school formals and debutante balls, we do not allow any alcohol to be consumed in any Exotic Limo vehicles on these occasions. This is a state law. Outside of these parameters, we are happy for you to enjoy yourself responsibly. We reserve the right to refuse patrons deemed too intoxicated to enter our limousines and this is at the sole discretion of the chauffeur. We definitely encourage you to enjoy yourselves, however we have a responsibility to uphold the safety of our staff and customers. Are we allowed to drink or smoke in the vehicles? Smoking is not permitted, however you are allowed to drink. Please pre-arrange your requirements when booking, including ice. All our limousines are equipped with glassware and champagne flutes. For weddings and specific promotions, a bottle of bubbly is complimentary. You are also permitted to bring your own drinks and there are no BYO charges. No we do not provide baby seats, capsules, or boosters however we are happy for you to use your own. Please pre-arrange your requirements before your booking. Please note that you are required to fit the seating yourself. What areas of Victoria do you operate in? We happily service all areas of Victoria. Simply call up our friendly team and discuss your location and we can ascertain whether our service would be the best fit for your needs. For weddings, the minimum hire time is 3 hours; for all other occasions it is 1 hour. After that, you are charged in 30-minute increments and the rate drops thereafter.